Seventh Day Baptist Missionary Society» Blog Archive » Take Perspectives this Fall! 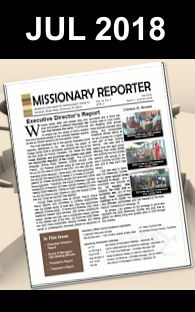 The SDB Missionary Society continues to work on building awareness of missions and how we all can play an active role in carrying the message of salvation globally. Hence SDBs are being encouraged to audit or take the Perspectives course for credit or certificate. Perspectives on the World Christian Movement (Perspectives) is a college level Christian education course designed to help believers learn more about God’s heart for all nations. One great thing about taking the Perspectives now is that the Society is offering scholarships to cover the cost. This fifteen week course designed around four vantage points or “perspectives” – Biblical, Historical, Cultural and Strategic. Each one highlights different aspects of God’s global purpose – visit https://class.perspectives.org to find a class near you. College Students gearing up for the fall semester can take Perspectives for credit and have the Missionary Society pay the tuition.